[DENNIS HOPPER] DIES AGED 74. Actor, writer, director, artist Dennis Hopper has passed away at the age of seventy-four following a battle with prostate Cancer. Hopper died on Saturday morning surrounded by friends and family at his home in Venice, California. One of the few true artists of his craft, his work included such cult classics as Easy Rider, Apocalypse Now and Blue Velvet. 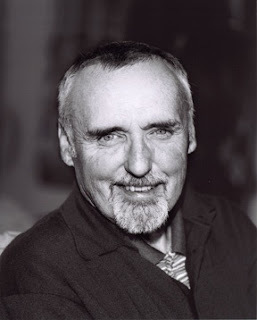 I'm reading: [DENNIS HOPPER] DIES AGED 74.Tweet this!